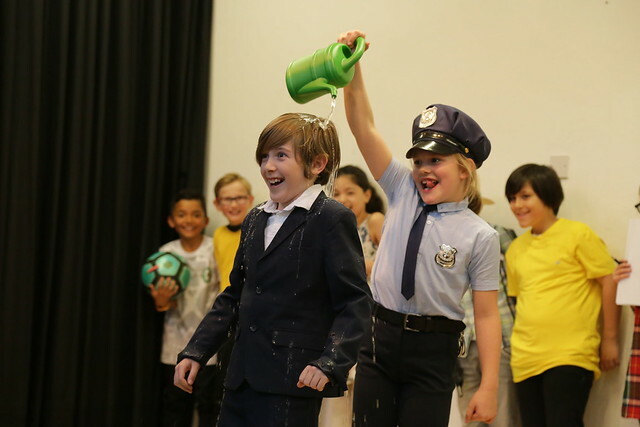 On the evening of 2nd April 2019 the St. Kilian’s school community was treated to a fantastic evening of drama by the after-school drama groups. Over 90 children overall, from 2nd to 6th class, performed four different plays in total, directed by their drama teacher William Mansfield. The talent and enthusiasm on stage was remarkable and the evening was enjoyed by everyone in the audience. Many thanks to all the wonderful performers, to Mr. Mansfield for all the time and effort he puts into his drama groups and to all the parents who helped with costumes, props and stage design.